Having worked in digital accessibility for over 17 years, I was surprised that I hadn’t come across these goals before. A few minutes later surprise transformed to admiration as I found that many of our key goals and values at Hassell Inclusion mapped very readily to the goals. We’ve found the goals to be a great way of situating what’s important for us in what’s important for the world. 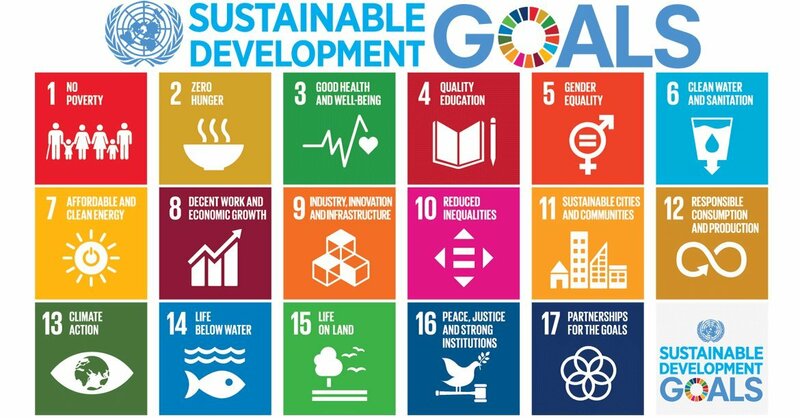 We’d encourage all organisations to consider how their goals fit into transforming our world. As part of our 10% giving, we have recently been to Ethiopia to raise money for Ethiopiaid – a charity created by another business – Reed. Sir Alec Reed created it in 1987, after being inspired by the passion, knowledge and ambition of the people in Ethiopia he had visited, after the famines in the mid-80s. My wife (and Hassell Inclusion Operations Director) Rosnah and I have always had a heart for Ethiopia – she was born there, and had visited Cheshire Services in Ethiopia when she worked for Leonard Cheshire International. The trip was a great way of connecting with some of the charities we already support in Ethiopia. 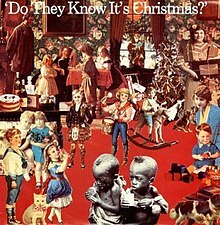 It also helped replace the BBC, Band Aid and Live Aid images from 1984 in my mind with the reality of the country in 2018. It was also a great way to find out what work was already being done in the country to help people with disabilities, and what, if anything, we could do to partner with that work to help disabled people there have more education and life opportunities. Oh, and Ethiopiaid wanted us to help raise more money by running the 10km Great Ethiopia Run with 44 thousand others around the streets of Addis Ababa while we were there. No problem, we love altitude. The trip was all these and more, and so we wanted to share some of the insights we received from the generosity of the people we met, and the great guides from the Ethiopiaid-supported projects we visited. Ethiopia in 2018 is one of the fastest growing economies in the world, and has been for decades. It’s not quite China’s 10.5% growth, but it’s 8.4% yearly GDP growth puts it at number five in the rankings. It also has a new, much admired, Prime Minister, its first female President, its first woman Federal High Court President, and a cabinet of whom half are women. Combined with the recent peace agreement with Eritrea, you feel a sense of optimism everywhere. Superstition, lack of information and lack of infrastructure: Parents in rural areas often think disability is ‘a curse’. They also may not think there’s anything they can do about it, and don’t know some mobility impairments can be fixed easily, in early years. Unfortunately, they often find out later when it’s harder to change. They can’t easily get to the few centres to get help, often don’t have the money to travel to get there, and need to leave their other children to make the trip. Two of our group were also able to go to a blind project in North Ethiopia where children are treated for the conditions that are causing their vision impairment, where possible, and also learn to live with their impairment. Of those with vision impairments in Ethiopia, blindness is either preventable or curable in 74% of the cases. “A lot of cars on the streets of Addis Ababa carry the scars of some sort of accident. Part of the problem arises from the quality of roads. In Addis, roads are nowadays synonymous with potholes. In many instances drivers memorize the location of large potholes and open ditches in their daily commutes so as to drive around them at night.” writes Tibebeselassie Tigabu. Finally, a history of regional conflicts has left many veterans wounded and requiring rehabilitation. Digital accessibility work in Ethiopia – are Western Standards a good fit? According to an ITU report: ‘among the world’s poorest 20% of households, nearly 7 out of 10 have a mobile phone. In fact, more households in developing countries own a mobile phones than have access to electricity or clean water.’ Our experience in Ethiopia bears this out well. Communications, especially for those in rural areas, is essential, and comms in Ethiopia means mobile. Moreover, smartphones bring so many more opportunities than just voice calls. While only 1 in 5 people in Ethiopia have a bank account, so cash payments are key, 2 million Ethiopians use the M-Birr mobile banking service which ‘leads Europe’. Check out Matt Rees’ great article on how this technology is changing people’s lives across Ethiopia, and how 40% of Kenya’s national GDP moves through the similar M-PESA mobile payments system. With all this emphasis on mobile, it is a relief that the recent WCAG 2.1 has finally introduced to the mainstream many of the mobile standards that our Digital Accessibility Framework, and the British Standard BS 8878 that I created in 2010, have been advocating for years. Accessibility Guidelines – including the upcoming ISO 30071-1 that I am editing – are finally including the requirements necessary to ensure that mobile sites and apps made for people in the developing world are accessible for the higher than average number of people with disabilities or literacy difficulties. So, does this shift mean that people with disabilities in Ethiopia will get the accessible digital user experiences that could change their lives? Our experience is that solutions need to be holistic, affordable, scalable and durable. As we found out at Cheshire Services, while an aluminium leg brace for children with polio is much lighter than one made from steel, it’s also much more expensive as it needs to be imported, and it is nowhere near as durable. 3D printing is also being touted as a cheap way of producing braces, but it will only be a solution if it can be provided locally. 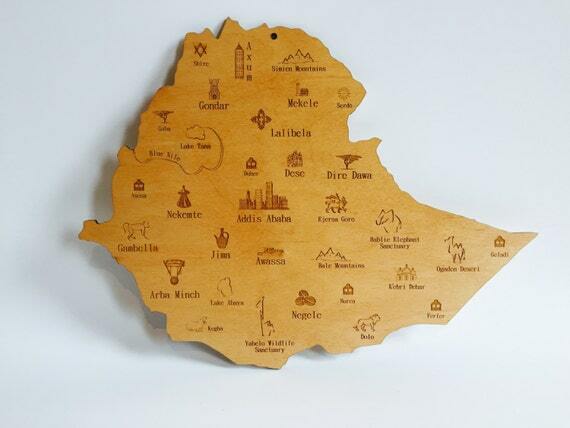 Cheshire Services have a great history in this area – wheelchairs that might cost thousands of pounds in the UK, and much more to import into Ethiopia, are being made on the premises for around £150 each. For digital technology, smartphones increasingly include assistive technologies as standard that would have been specialist downloads in the past. However, the rest of the assistive technology (AT) ecosystem is not in place to ensure that someone with an access need is: made aware of the ATs that could help them, assessed for which AT is most suitable for their needs, provided with the technology and trained in its use, and that it is supported and maintained after provision. The policy framework to provide this nationally in Ethiopia is not yet in place, so even if the creators of mobile sites and apps make them accessible, other parts of the puzzle need to be improved for full accessibility. When Rosnah worked for Leonard Cheshire International she met the Coordinator of their services in Sierra Leone. He had a mobility impairment which made it difficult for him to move as a child. He literally spent his days in the family hut. And the only reason he received an education is that one of his siblings would sit with him when he got back from school and teach him. That sibling changed his brother’s life. We have visited some great local charities that Ethiopiaid supports doing some amazing things, so we are looking at how we can help best going forwards. We have much of the experience necessary to create more transformations like this: in helping nations set up AT ecosystems, in training mobile web and app creators in digital accessibility, and in creating innovations in accessible elearning. So, if are already working in this field, and you think you could use our skills to partner with your project, please get in touch. This was posted on Wednesday, November 28th, 2018. You can follow any responses to this post through the RSS 2.0 feed. You can leave a response, or trackback from your own site.